You don't have to spend a fortune to turn trash into treasure! Give a goodwill item a new purpose by re-purposing it, or just revamp stuff you already have lying around the house. Get creative, and design your dream dresser! You don't have to be an artsy painter, but découpaging furniture is a brilliant way to show some sleight of hand artwork! It will add a glorious touch of personality to any of your wooden home furnishings to make them truly one-of-a-kind. A simple, yet very cute decoration to use for multi-purposes. It can be used as a tea-light candle holder, a short vase to put fresh flowers in, or even a place to store cotton buds in. The options are as far as your imagination will take you! How crafty is this conversion?! If you happen to have a vintage roller skate trunk in your attic then this is a great way to put it to use; otherwise, you can check local thrift shops or craft stores to find something similar to découpage into a new life! Super easy (4 materials) to turn an ordinary mirror into this ornate and one-of-a-kind statement mirror. 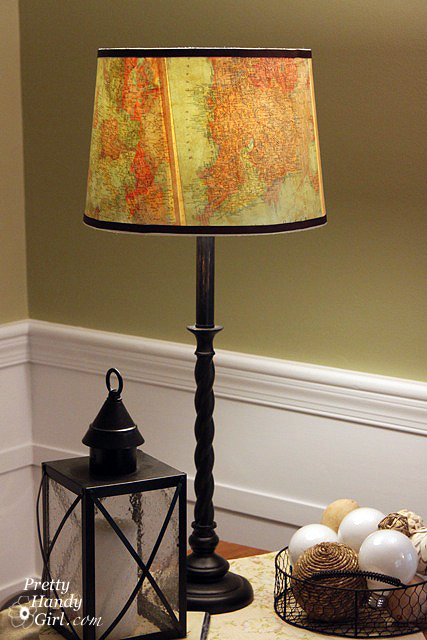 Why buy a globe when you can just have a map of the world on your lampshade? It's dual-purpose, and will add a nice upgrade to an otherwise boring cream-colored shade! Want to add a pop of color with this creative vase? You can be creative, and substitute different colors to make it as original as you want. Cut the comics out of your local newspaper, and craft them into a cute gift for a friend, or for yourself. 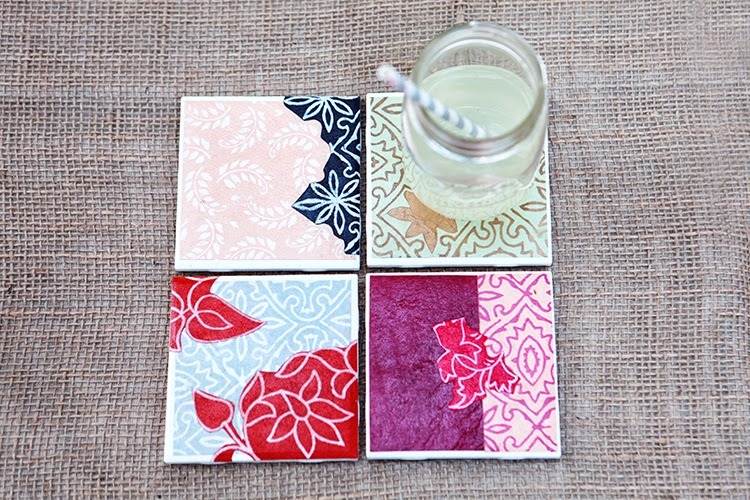 You can get as creative as you want for your coasters, and impress all your friends when they come over for a cup of coffee, tea, or whatever beverage you plan on sippin'. Now you don't have to pay Anthropologie prices for cute light switch plates! You can design them however you want to match with the decor of each individual room! This will add vintage charm to any music lovers home! 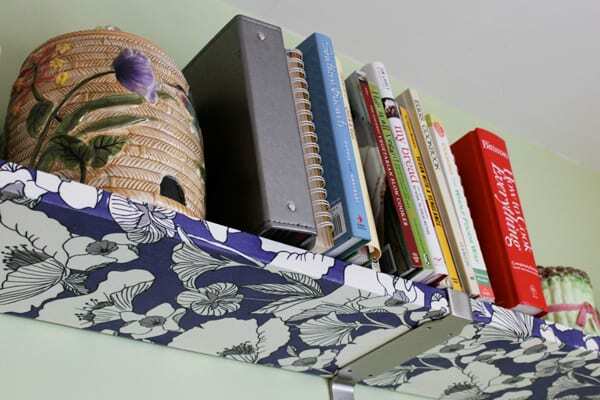 Maybe you're bored of plain shelving, and want to revamp your book shelf! It's easier than it looks. If you store your wooden spoons in a utensil spinner on your counter then you might want to make your kitchen-ware look spectacular! Need a gift idea for a friend or family member who loves to cook? This is a simple trick to make your wooden-ware look like it's from Cath Kidston for a lot less money. This is a much easier technique to "upholster" a wooden chair! It can definitely add some flair to a boring dining room set! If you don't feel ready to tackle a huge change to your home furnishings yet then this is an alternative way to slightly upgrade a shabby look without spending much money! You no longer need to get googly-eyed over Anthropologie's door knobs, because with a few materials you can make your own! 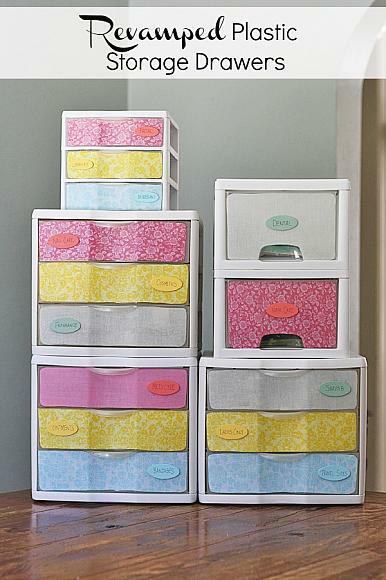 Are you tired of looking at all the clutter that hides within the clear storage drawers? Do you want to turn ordinary into extraordinary? This is the perfect way to make storage look sensational! Such a creative way to store towels in your bathroom! Towel racks are soOoOoOo 2006; tin cans are the new age way to store tiny hand towels in a unique fashion! 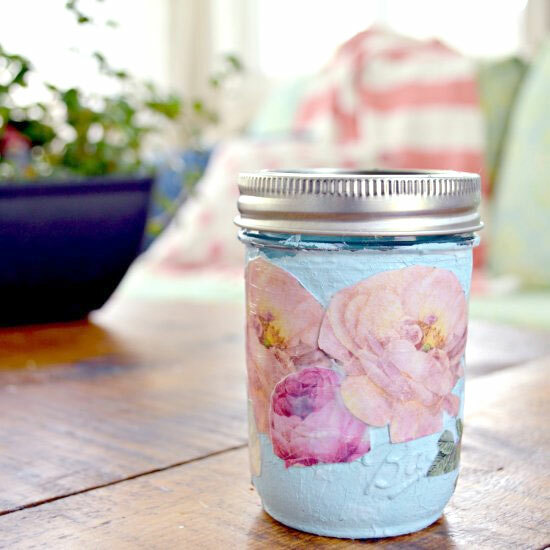 Go on... show the world your impressive découpage skills!